Last spring, in a two-minute exchange without prior notice to the public, members of the Washington State Fish and Wildlife Commission voted to raise the cougar-hunting quota by 50 to 100 percent in areas of Washington. Bigger quotas mean more cougars will die. The quotas are in areas where wolves also live, and will allow trophy hunters to devastate Washington cougars. Studies show that over-hunting cougars increases both human conflicts and livestock depredations and is a poor way to manage wildlife. Please contact Governor Inslee immediately and ask him to reverse this harmful decision made by the Fish and Wildlife Commission. By and large, Washingtonians disapprove of the inhumane methods of trophy hunting. 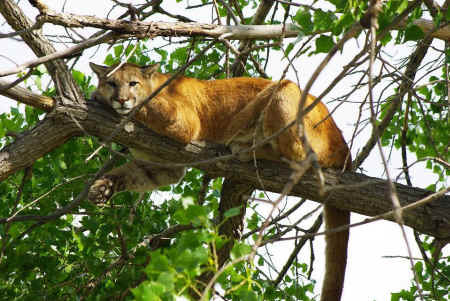 This expansion of cougar killing goes against the wishes of Washington voters.